DHL Express is one of the smaller interstate carriers and specializes mainly in the transport of general freight and parcels. The Kentucky based company employs about 1,100 drivers and logs 9.3 million miles per year while boasting a safety record that other trucking companies should aspire to achieve. Even the safest of carriers may find themselves liable if one of their drivers is involved in the trucking accident. It is for this reason that we must always push even the safest companies to continue considering policies that will reduce the number of accidents occurring on our roads. If you or a loved one was injured in an accident involving a DHLTruck, we invite you to contact the trucking accident attorneys at Rosenfeld Injury Lawyers LLC for a free review of your legal rights and options for a recovery. Data compiled in 2012 and 2015 indicates that DHL Express is one of the safest trucking companies in the United States and has made strides in the right direction over the last three years. Each of the studies compiled data from the previous two years. The following statistics establish DHL Express as safer than its competitors. Of 139 vehicle inspections recorded over a two year period in the 2015 report, only four resulted in out of service violations. The data from the same study in 2012 shows six out of service violations out of 102 inspections. DHL Express decreased its "out of service" rate from 5.9% to 2.9% between the two studies. In comparison, the national average rate of out of service violations per inspection is 20.72%. DHL Express drivers were subject to 185 inspections in the 2015 study and only four out of service violations were reported. Per the 2012 study, the number of infringements remained the same, but drivers were only subject to 130 inspections over the four years before 2012. The current rate of violations per inspection is just 2.2% which is less than half the national average of 5.51%. None of the accidents DHL Express has been involved in over the course of both studies resulted in fatalities. The 2012 study revealed that out of six accidents, four resulted in injuries requiring hospitalization. The injury rate dropped from two out of three to one in two by 2015, but there were eight total accidents reported. While DHL Express could be considered among the safest trucking companies in the country, all carriers employ human beings who are capable of making mistakes. Accidents are more often the result of an error in judgment or failure to take precautionary measures than deliberate recklessness or malevolence. If any carrier is involved in an accident, it is responsible for providing whatever compensation is needed to replace the victim's damaged property and pay for medical bills, rehabilitative therapy and wages lost due to the inability to work or provide for his or her family. Most truck accidents have catastrophic results on the victims because of the size of semi-tractors and trailers and the force that is exerted on their vehicles and bodies during a crash. If you have been injured in a trucking accident, the Rosenfeld Injury Lawyers LLC may be able to help you recover the compensation needed to treat your injuries, provide for your family and adjust to a new lifestyle if you are no longer able to do some of the things you once enjoyed. Our trucking accident attorneys have access to economists, healthcare experts, and accident reconstruction specialists— allowing us to prove fault more effectively, assess the value of your case and maximize your recovery. We've helped hundreds of clients just like you not only recover damages from those responsible for their injuries but also gain access to the best medical care and resources available. Liability at the onset of this case wasn't clear. The DHL driver was technically an independent contractor. His crashed his vehicle into the plaintiff. The plaintiff suffered all kinds of injuries. Most severe, the victim had brain damage from the event. At trial, DHL tried to shift all blame onto the driver. It said he was his own employer. As such, it shouldn't share in the fault. In this case, what the plaintiff had to do was show how the driver was really an employee of DHL. Just because DHL calls its drivers contractors, doesn't make them so. If they still retain large control, they can be presumed to be employees. With that label, comes responsibility for errors of those workers. Now, the error must be in the course of employment. If the employee detours off of his work scope, then the employer might get off the hook. Here, that wasn't the case at all. The DHL driver was on route for the company. What made the crash more unfortunate was that the driver was intoxicated at the time. Both parties presented their entire cases. The jury found for the plaintiff. It said DHL was responsible. Then, it turned to calculate damages. At that point, DHL tried to settle with the plaintiff. The settlement was well north of the average for truck accidents. Yet, there were sizeable medical bills. Plus, the victim couldn't work for the foreseeable future. Life would never be the same again. There would always be pain and suffering from the truck crash. This truck accident occurred in Vernon Hills, Illinois. 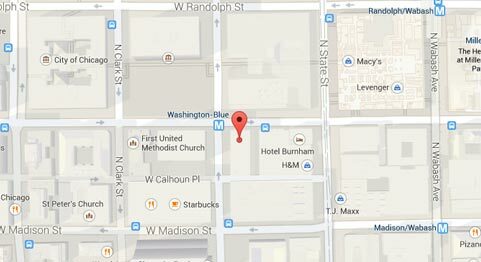 It happened just off Milwaukee Avenue. The events of the crash are not precise. Although, we can gather some info from reports. The plaintiff was backing up his vehicle. He was trying to get onto Milwaukee Avenue. Yet, he didn't see another truck coming right behind him. They crashed into each other. Both of their vehicles sustained heavy damage. The plaintiff was badly hurt too. He herniated his disc at the C6 point. That required fusion and discectomy. Both of those procedures cost a lot of money. Plus, they left him handicapped. He felt a lot of pain and couldn't do lots of the things he used to be able to. He sued for these harms and costs. He wanted to go about his life. Yet, it was hard with the added pain and frustration. There were actually two defendants in this case. One was the truck driver. That man worked for a private company. The other was DHL. DHL was named because it supervised the dock where the crash occurred. The plaintiff's theory was that its negligent management of the dock allowed the event to occur. Naturally, DHL had its reservations. It tried to put the blame squarely on the driver. Yet, as it so often happens, it became willing to settle when faced with the court costs of maintaining its position. DHL paid $135,000 to the plaintiff. The private company offered the man $200,000 to settle. He accepted both amounts. $20,000,000 NEW YORK JURY AWARD. The victim in this case died from her injuries. She was driving down a busy New York road when a delivery truck hit her head on. The truck was trying to avoid crashing with another vehicle. A private company owned the truck. Yet, the truck was performing services for DHL at the time of the crash. 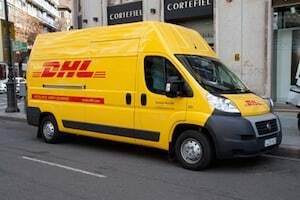 That's how DHL got pulled into the lawsuit. The case was further complicated because the driver was using the truck for personal reasons when he hit the victim. Thus, it was unclear who would be at fault for the crash. In these circumstances, the owner or employer might be able to avoid liability. That's possible when the worker leaves the line of work. Yet, it was hard to argue that here. The driver was driving the vehicle. This is exactly what he's paid to do. Plus, he was using the company truck. Other people wouldn't be able to tell that he wasn't working at the time. These facts made it difficult for DHL and the driver's employer to escape fault. The jury said that these two businesses and the driver had to pay $20 million to the estate. The woman was survived by a husband and other family. Later, the judge reduced the verdict to $7.3 million. Judges are allowed to do this when they believe awards are excessive. Still, it was a hefty award for a family that deserved significant compensation. TRUCKER USING GPS STARTS CHAIN-REACTION CRASH. This incident occurred in Eugene, Oregon. The man responsible was a DHL trucker. He was using a phone with GPS for directions. The phone was mounted on the windshield of his truck. He wasn't using it with his hands at all. However, at some point, he got a text. He diverted his eyes to read it. That's when the trouble started. He rammed into the car ahead of him. That crashed sparked a chain reaction. Four or five vehicles were involved. A bunch of people were hurt. Most of them had to go to the ER for treatment. In this situation, the trucker and DHL could be on the hook for their injuries. They might have to pay for the pain, expenses, and costs of the crash. To get compensation, victims will have to show that the driver and the business were negligent. Negligence means that someone acted unreasonably and damaged someone else. Damage can be tangible or intangible. Normally, plaintiffs can't recover if their negligence was more than the defendants'. Here, it's very well possible that the trucker's use of his phone was negligent in the circumstances. If that's the case, the victims could have a case in court. It is essential to begin investigating the cause of your accident sooner rather than waiting because it will become more challenging to access evidence as time passes and your recollection of events becomes hazy. Contact us now to schedule a free consultation so that we can review your legal options with you, answer your questions and collect all of the information that we would need to launch an investigation. Once we have evaluated your case, our firm will be able to provide a more accurate estimate of its value and let you know whether it is in your best interest to pursue a lawsuit against the trucking company responsible for your injuries. Our lawyers work solely on a contingency basis and will never demand payment upfront. If we are unable to secure compensation on your behalf for any reason at all, our services will be free of charge.